When Square Enix released Final Fantasy XIV back in September of 2010 they didn’t exactly receive the praise they were expecting, in fact, they didn’t receive any praise. Fans and critics alike were pretty upset with the new MMO, which failed to deliver on any of its potential, and was in fact a large step back from the very successful Final Fantasy XI which is still going strong to this day. The game was in such bad shape in fact that Square Enix quickly cut the monthly fee requirement and vowed to completely overhaul the entire game! 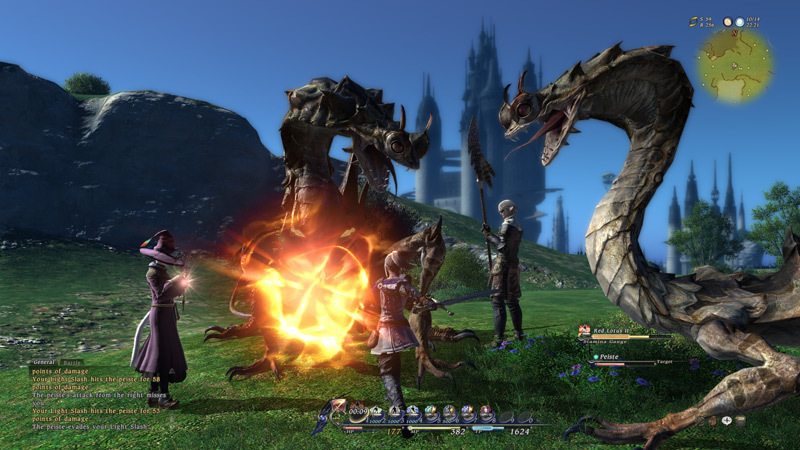 Now a couple of years later Square is set to relaunch Final Fantasy XIV. New and improved the game has been given the subtitle A Realm Reborn, and Square Enix is hoping fans will give this version a shot, and hopefully be better received. This new iteration is still being tested and optimized and Square Enix is accepting Beta applications from any hopeful fans. If you want to see how much they have retooled the FFXIV experience you can head on over to this Link and fill out a Beta request form. And to help promote this practically new game Square have gone and made a snazzy CGI video, which you can watch below.